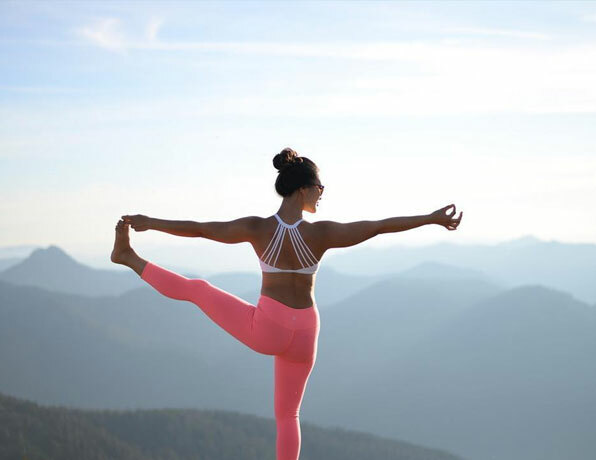 There are three places you’re most likely to find Cam on any given day: in the outdoors breathing the fresh mountain air, at her favourite shop tucking into a warm cup of tea, or stretching into warrior pose at the yoga-locale du jour. But no matter the activity or distance from home, a handful of Naked Snacks won’t be far away! Cam is one of Naked Snacks’ earliest ambassadors. She generously shares her love of our wholesome products up and down the Pacific Northwest on her stunning roadtrips and yoga adventures. Coming into yoga a bit later in life, she’s an inspiration to newbies and practiced yogies alike. She’s also a terrific photographer! If you aren’t following her on Insta, then you’re truly missing out. 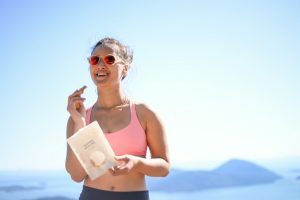 We recently pulled up a yoga mat and broke open the Sunshine Mango to chat about life as a yogi, snacker and Westcoaster. As part of the Naked Snacks family, Cam is one of those people that just makes life brighter. We can’t wait for you to learn more about her exciting life as a health and wellness ambassador! 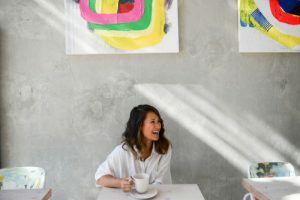 What does a day-in-the-life-of-you look like? My day is usually fueled by lots of snacks, cups of tea, and chocolate. Ask anyone I know! Then I head into the office and work with an amazing team to help produce instructional fitness programs. (Love my job!) I usually end things off with a short or long yoga practice. I always try to find time for this. On weekends I love spending time outside in the mountains or with my loved ones eating good food. Berg Lake, which was so rewarding after a long day of hiking. Where has been the most challenging? Sometimes just in my own house. There are so many distractions at home that it’s often easier to be out in nature where there’s no cell reception and the only distraction is the cute squirrels that run by. Fall often feels like a fresh start. What’s something you do to feel refreshed, either daily or at the start of a new season? Every season I love sitting down with my journal and taking time to reflect. Taking a moment to look back on the last season and set out goals and intentions for the next. There’s something so calming about putting pen to paper in this way. This always resonates with me. I started yoga and fitness at a later age and looking back I thought I never would have been able to do what I do now. There was a time not too long ago when I couldn’t even touch my toes! What’s in your teacup these days? I’m loving green sencha tea with a bit of matcha. I just love matcha everything, can’t get enough! Matcha chocolate, matcha ice cream, matcha smoothies…you name it. We’re thrilled to have you on board as a snack ambassador. 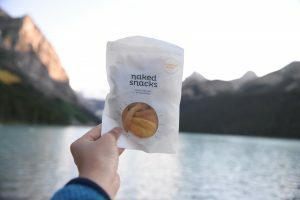 What makes you a fan of Naked Snacks? I absolutely love Naked Snacks. I remember picking up a pack at my local grocery store after a long day and falling in love – it was the perfect pick-me-up. I love how healthy all the recipes are while still being so tasty! What’s your favourite way to eat Naked Snacks? With friends! They are so delicious and easy to share with others.